“People the world over are feeling, or will soon feel, the effects of the strongest El Niño event since 1997–98,” announced climate scientists at NASA’s Jet Propulsion Laboratory in December 2015. Analysis now benefits from the big data tools in the ArcGIS platform and its integration with R (the R Project for Statistical Computing). 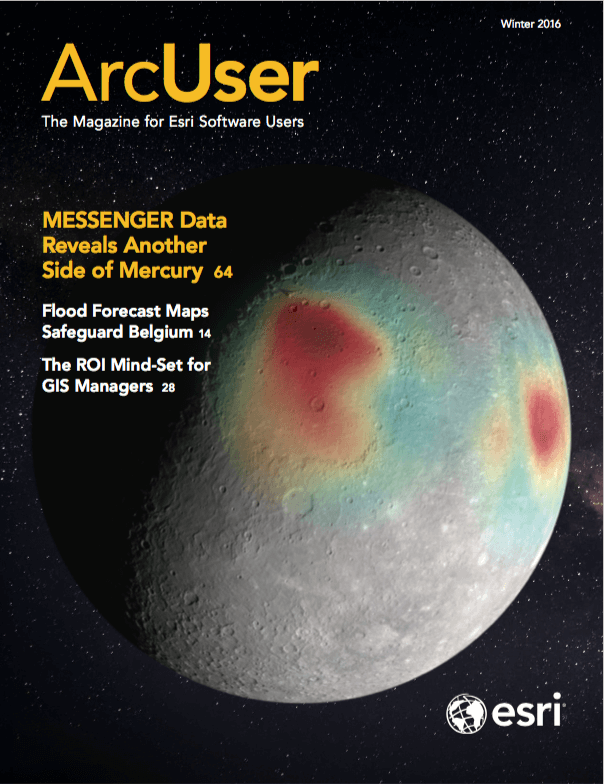 Data sharing between agencies enabled by ArcGIS Online, Esri’s cloud-based solution, and ArcGIS Open Data have vastly increased the information that can be considered in addition to the incorporation of real-time data from sensors, such as rain gages. 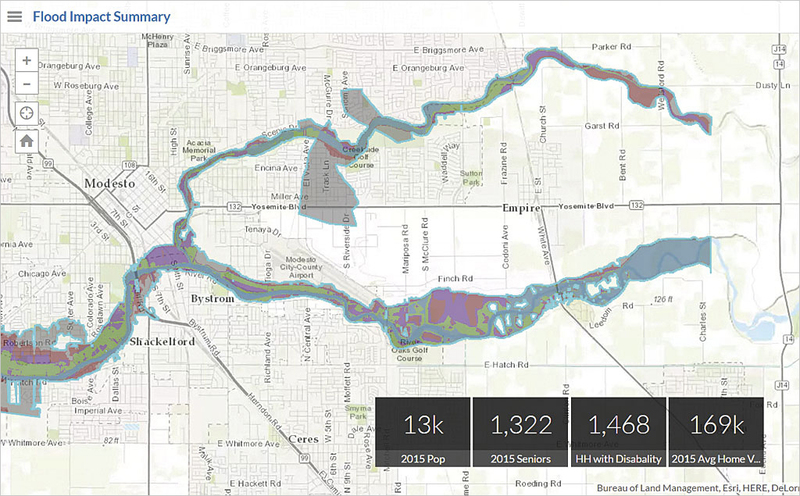 ArcGIS Online answers the need for interactivity, immediate updates, easy collaboration, and rapid dissemination of information to other agencies and the public. 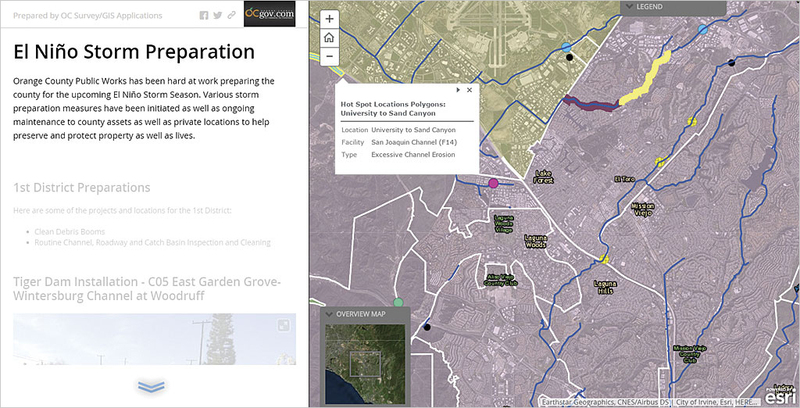 Organizations are also using Esri Story Map apps for communicating, whether it is potential risks or the current state of response efforts. DirectRelief, a worldwide humanitarian organization, has used this approach for keeping the public apprised of El Niño hazards. 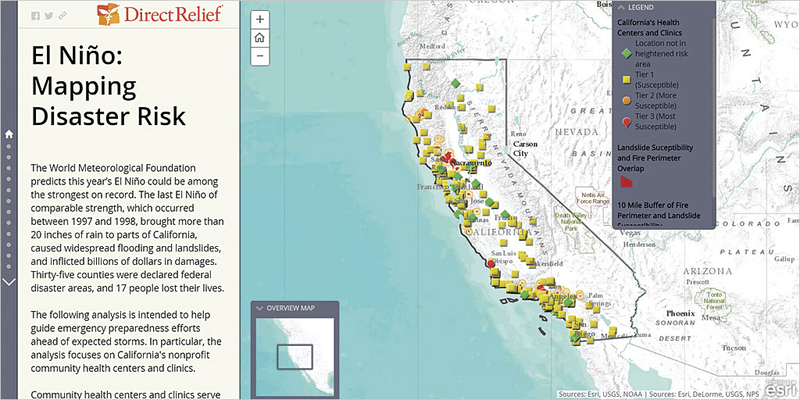 It created a story map communicating the health risks of California’s most vulnerable populations and sharing its analyses evaluating the contributions of drought and recent wildfires to the state’s peril.